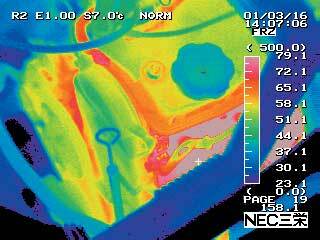 Thermo Tracer TH7102MV/TH7102WV | Infrared Thermography | NIPPON AVIONICS CO.,LTD. 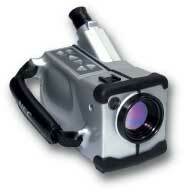 New Thermo Tracer TH7102MV/WV, equipped a digital camera, can store visible image and tehrmal image simultaneously. 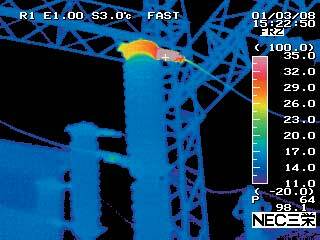 The visible image makes more easy to pinpoint measured position with thermal images, and makes work efficiency to improve in arranging data and making report. High quality image and low maintenance cost are realized by UFPA detector. he battery pack(90g)can operate for approx. Automatically adjusts level or level & sense by tracing temperature of object measured. Automatically store images with selectable time interval(1/60 sec. to 60 min.) up to 832 images. the main body or it can control the camera at a distance. Software to make report easily.